Why Do You Need a Law Firm in Serbia to Start a Business? When establishing a company in Serbia, you need someone with good legal skills who can help you prepare contracts for employees, clients, suppliers, and customers and prepare the necessary paperwork for registering and organizing your business. Your law office in Serbia will also help you decide whether your business should be a corporation or a limited liability company (LLC), as well as help you with trademark and copyright protection regarding your intellectual property. Your chosen law firm in Serbia will also help you with business licenses and corporate taxation in Serbia. The standard Serbia tax rate for corporations is 15% and the income tax on dividends is also 15%. 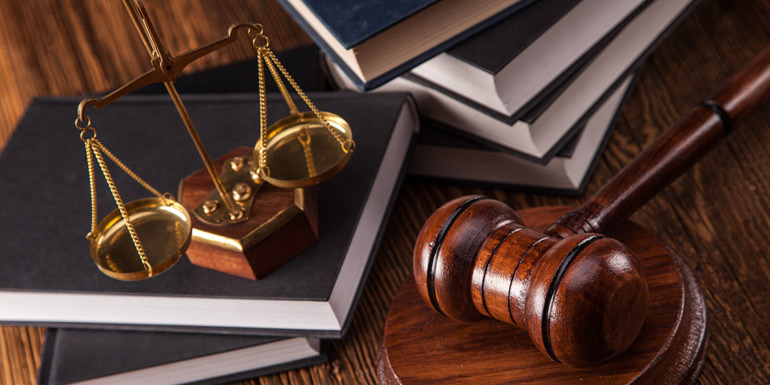 Most importantly, experienced attorneys you work with will introduce you to all the ins and outs of the corporate law in Serbia and the process of corporate litigation in Serbia, so that you can be prepared in case of any legal disputes. What Factors to Consider When Choosing a Law Firm in Serbia? Before you go and put your trust in a particular law office in Serbia, you need to make sure it's the right fit for your business, so look out for the following essential factors. You don't need to look for someone with, let's say, 10 years of experience in the business, but you need to make sure they do have experience and know how to handle all the legalities of establishing a company in Serbia. They need to be competent, credible, responsible and reliable and know everything about company registration in Serbia and the corporate law in Serbia. The law office in Serbia that you choose should have good connections in their field. This is because not every attorney is specialized in every possible area of the law. If somewhere down the line a legal issue that your law office cannot handle arises, the attorneys should have a working relationship with another office that can help. Check the other clients of the law firm in Serbia you are considering to hire in order to see whether or not it is perhaps representing one or more of your competitors. Although they certainly apply the legal code of ethics and won't ever discuss your matters with other clients and vice versa, it's still a good idea to choose someone who doesn't represent your competitors. You certainly don't want your law firm to leak any sensitive business information, so better play it safe. You must have good communication with the attorneys of your law firm. They must be able to communicate well and clearly discuss all the legal matters with you, especially if you don't fully understand all the legalese. This is especially important for all the ins and outs of company registration in Serbia, as well as everything about corporate law in Serbia, corporate taxation in Serbia, corporate litigation in Serbia and everything else you will need for starting and operating your new business because the legalese can be quite confusing. The attorneys you team up with need to be available whenever you need their legal help. That's why you need to check right away whether or not they are going to be available at your convenience, as well as whether or not they will return your phone calls in a timely manner. Fees shouldn't be a deal breaker because, after all, you get what you pay for. If you find a law firm in Serbia with the lowest hourly fees, you may not get the best value in legal work. At the same time, high fees don't always indicate the best quality, so be sure to get several quotes before you choose a particular law firm. Also, check to see if there are any flat fees that a particular law office in Serbia charges, as well as if that flat fee includes disbursements. You need to find someone with an office located nearby so that you don't have to waste an entire day when you need to meet face-to-face, and you'll certainly be meeting frequently, at least until you set up everything for your startup. The attorneys of your chosen law office in Serbia need to be people you feel comfortable with since you'll be working with them very closely. Find people you'll get along with, who are both professional and friendly, and whom you can really trust. Follow these guidelines and you'll make a smart decision when choosing the right law firm in Serbia. Establishing a company in Serbia may seem a bit daunting at first but, with the right attorneys at law right next to you, you'll quickly springboard your new company to incredible heights.